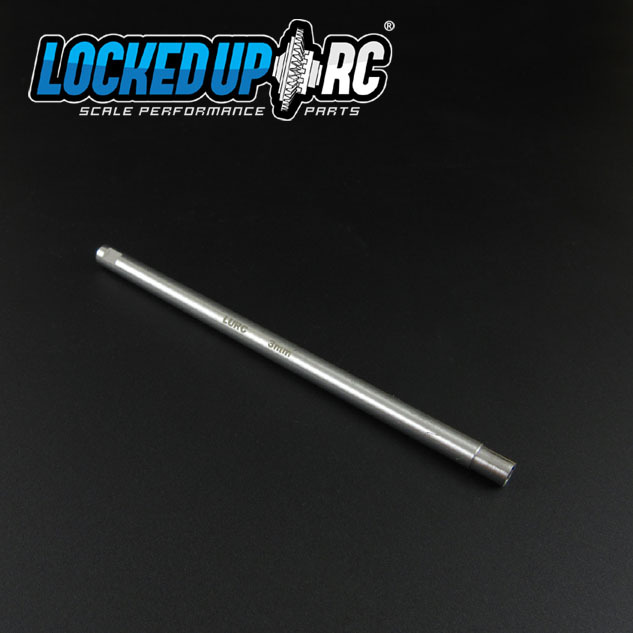 Our Extended 3mm Hex Socket Driver made for Locked Up RC Miniature Scale Hex Bolts, Acorns and more. These light duty tools have been specifically designed to install our Scale Hex Bolts. The shafts are 5mm in diameter and work great in LURC 5mm Bore Tool Handles, variable speed electric drivers and will also slide right in to most other brand RC driver handles. Each order includes 1 socket tip. These are a light duty socket made for fitting into small spaces. Of you apply more than 1 ft/lb they will shatter. *NOT suggested for use with Delrin or plastic applications. **Not suggested for SLW wheel applications. This a great tool to have in your hobby tool box. Along with the scale hex screws and nuts to make your model look great this is the perfect hex socket driver of choice on my hobby work desk. Thanks Guys !!! !